Of all the things we could learn at SDCC about Star Wars: Galaxy’s Edge is probably low on the totem pole list. But new news related to the new land coming to Disney theme parks is percolating from other avenues, so let’s explore that, shall we? 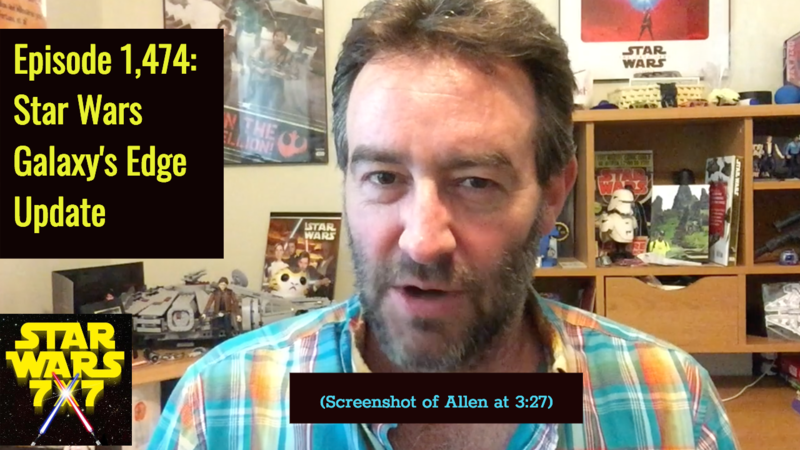 The video below has the main topical content of the episode, and the audio version above has Last Jedi trivia for you! And here’s the link to the under-construction photos I mentioned on today’s episode.